Jason Bryant, b.1976, Wilson, NC. Currently lives and works in New York City. 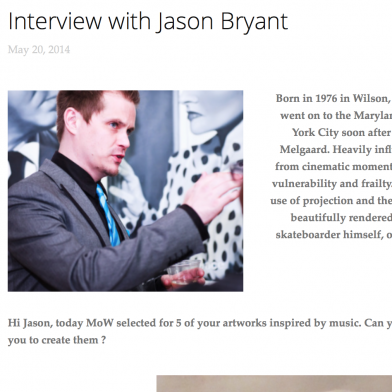 Bryant graduated from East Carolina University with a BFA and went on to the Maryland Institute College of Art for his MFA in painting. 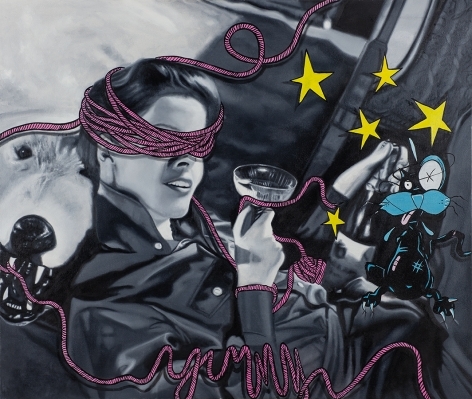 Bryant moved to New York City soon after and began work with such notable artists as Kehinde Wiley and Bjarne Melgaard. Heavily influenced by classic film, Bryant begins each painting by researching images from cinematic moments or magazine images of interest to fit various themes exploring loneliness, vulnerability, and frailty. Bryant renders each image, at first as a pencil sketch on canvas without the use of projection and then by transforming the image through oil paint into a photo-realistically and a beautifully rendered film still. 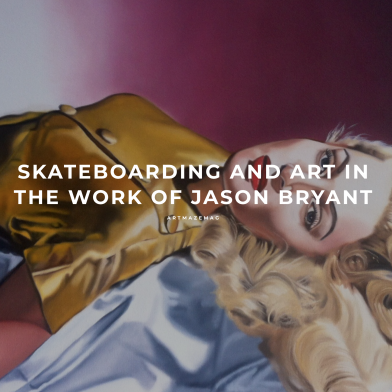 Bryant then incorporates his signature skateboard graphics, a skateboarder himself, or paints in pixilated areas often cropping the eyes or other notable features of each character. Bryant’s paintings have been exhibited across the United States, Europe and Australia, are represented by galleries in New York, London and the Gold Coast and are collected worldwide. 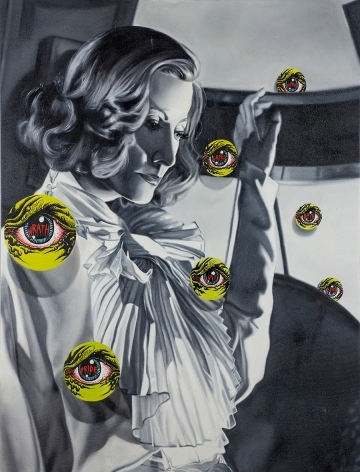 His work has been featured and covered in Juxtapoz Magazine, Thrasher (U.S. and France), NY Arts Magazine, American Artist, and Time Out New York.